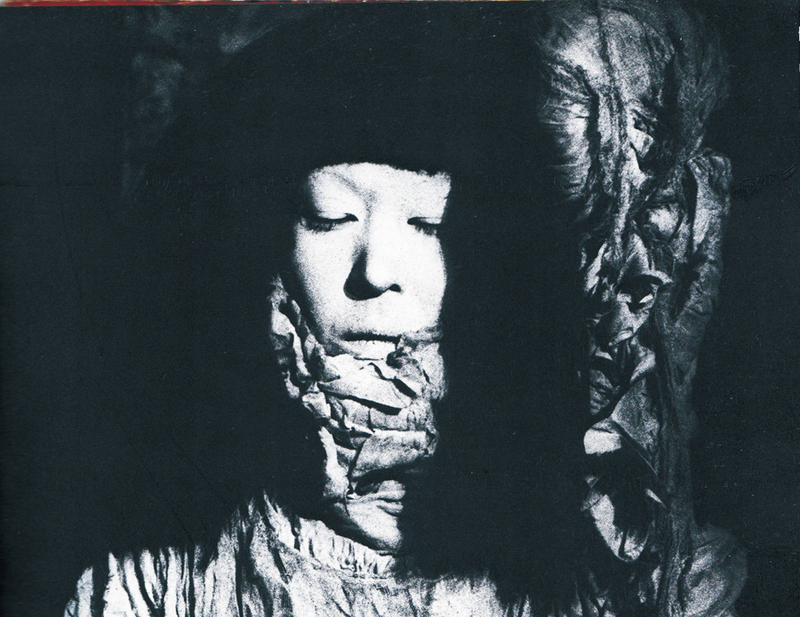 Yuko Yuki was a original member of butoh company “DAIRAKUDAKAN”. After leave it, she’s been to Northern Japan with Bishop Yamada (Hoppo butoh ha) to investigate of the highly spirit and body consciousness of Tatsumi Hijikata (the originator of butoh) and the climate cultivate him. Now, YUKI has continued to investigate it for herself for 19 years. 1972 It plays an active part as a original member of butoh company “DAIRAKUDAKAN”. 1974 It emigrates to Yamagata with the “Hoppo butoh ha” led by Bishop Yamada. 1976 Futhermore, it emigrates to Hokkaido Otaru aiming at north. 1977 It forms and superintends “Suzuran-toh”. 1984 “Taka-zashiki” directed by Tatsumi Hijikata was performed. 1991 “Ezo-men”(choreographed by Bishop Yamada) is continuation-performed for 14 days at Theater of Yugen in San Francisco. 1992 It emigrates to Tsugaru. Henceforth, it appears on the movie “ichiman-nen-ohkoku” directed by Toshio Iizuka and performed many butoh works which dealt with the arrangement of a dance and production herself. 1995 “kaze-no-tanjo” at Aomori Public University for JOMON FES. 1996 “JOMON-SHO” at National Japanese Culture Study Center in Kyoto. 2003 5 trials of a butoh “The universe of a crevice, a whisper of a star. 2004 “Rokoh” for the art project by NPO Harappa ,Hirosaki. 2005 “Fuyu” performed and directed by Yuki Yuko, read HAIKU (Japanese traditional poem) by Tsuji Momoko, played saxophone by Amanai Aiko. “GOZE SONG OF SWAN” ,at Exterritorial in Wien. Work shop “the body of wind” ,at Exterritorial in Wien. “GOZE SONG OF SWAN” ,at ESPACE CULTUREL BERTAIN POIREE in Paris. “GOZE SONG OF SWAN” ,at Warszawa national play academy in Porland.